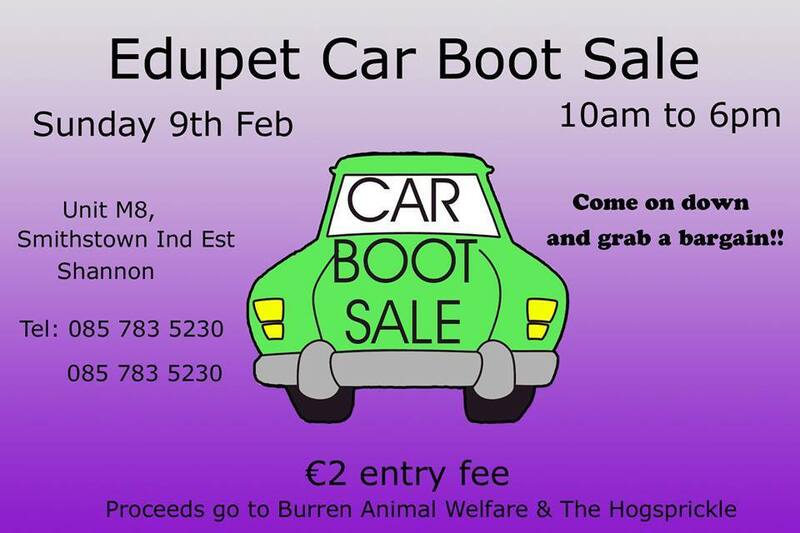 Hey everyone, don’t forget the car boot sale tomorrow, 9th February at Edupet. Doors open at 10am to 6pm, €2 entry for adults, kids go free, proceeds go to Burren Animal Rescue & The Hogsprickle. Come on down and grab a bargain.